Magic!! 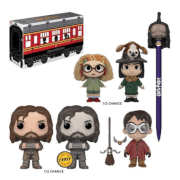 The hero of the Harry Potter film franchise arrives in pop vinyl form. 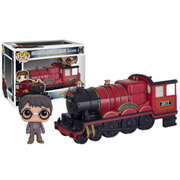 With a likeness of Daniel Radcliffe as Harry Potter this awesome representation is now available! 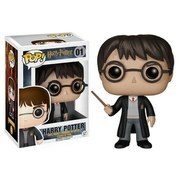 Pictured with his Firebolt and Feather - add this epic Harry Potter Pop! to your collection today! This Pop! Vinyl Figure comes packaged in a window display box, and measures approximately 3 3/4-inches tall. Box was damaged a little, but I can live with that. Usually everything I have gotten has been perfect! Details in this pop, love! And nice to get EXC too to Europe. This is my first time having a pop collection and also my first time to buy them here. I love the first Harry Potter pop that I got. It is delivered well and the pop looks really great. I would definitely stick with this website and I would very likely to recommend this to other people as well.